Android Play Store offers innumerable apps that play a productive role in daily life. Be it managing work or maintaining data records to playing games in free time, there is an app for everything. 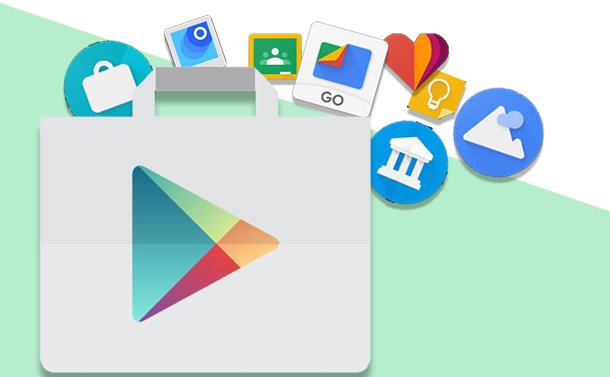 But do you know, Google Play Store not only provides a platform for all these apps, it also releases apps from time to time. There are ample such apps that are extremely useful and provide a lot of help to users. This article exactly caters to all those apps. We are sure, after reading the article you will try out your hands on these 8 unique Google apps for Android. So, the first app that makes its place in the list of 8 unique Google apps for Android is Wallpapers. With it, you don’t have to worry about having the most beautiful wallpapers on your Android smartphone. Google wallpapers easily let you choose photos from your gallery, from Google Earth collection, mesmerizing landscapes from Google+ etc. Not only this, it also lets you change wallpapers daily, simply turn the setting on and leave rest to the app. Wallpapers is a free app and can be downloaded from Play Store. Don’t let anything spoil your trip, have Google Trips installed on your Android smartphone. From planning your trip to making reservations, Google Trips lets you do everything. With Google Trips, you can also look for nearby attractions, plan your outings, and look for the must do things at any place. The most amazing feature is that it is available offline, which means you don’t really need to worry about Internet while making your itinerary. Google Trips is a free app and can be downloaded from Play Store. Don’t let anything deviate you from your fitness goals. Install Google Fit today and track your activities effortlessly. With Google Fit, you can track your wellness, set goals based on calories burnt, steps, time and distance. It also gives personalized recommendations that helps individuals achieve their daily goals. It also works with Android wears. Google Fit is a free app and can be downloaded from Play Store. An easy to use app for managing your files on your Android phones. With Files Go, you can effectively free up space on your phone, share files in offline mode, check for free storage on your phone, clear cache etc. Out of the amazing features it offers, it provides cloud backup, encrypted file sharing, and an amazing file storage option. Files Go is a free app and can be downloaded from Play Store. Scan your photos with your smartphone’s camera with PhotoScan. This nifty app, lets you easily scan perfect, glare-free scanned pictures. Some of the amazing features include automatic cropping, smart rotation, fast scan, straight and rectangular scan with perspective correction. PhotoScan is a free app and can be downloaded from Play Store. Capture thoughts on the go. A memo app that helps you make notes, set reminders. Access note anywhere anytime with Google Keep. It gives easy access to label and share notes, adds photos to notes, groups them etc. You can also use Google Voice Assistant to command Google Keep to take notes for you. Google Keep is a free app and can be downloaded from Play Store. A free service for schools, non-profit organizations with personal Google accounts. This little app lets people connect inside and outside of classrooms. Let’s you stay organized and is a great way of learning between instructors and learners and saves paper too. An affordable, easy to use, time-saving app that enhances communication among people. Google Classroom is a free app and can be downloaded from Play Store. Arts and Culture is one app that we can’t miss in our list of 8 unique Google Apps for Android. An amazing app for art lovers. Helps art followers and lovers to keep themselves updated about the latest art events happening across the globe. In collaboration with more than 1200 international museums, galleries, it easily exhibits artifacts online. Arts and Culture is a free app and can be downloaded from Play Store. There is a lot that Google does than just offer a platform for apps to be available for download on your Android smartphones. Try your hand at these 8 unique Google Apps for Android and make the most of them.